Forked tip shown with solder added to cavity to enhance removal operation. Removing SMT chip component with forked tip. After solder has melted lift tip out and up. 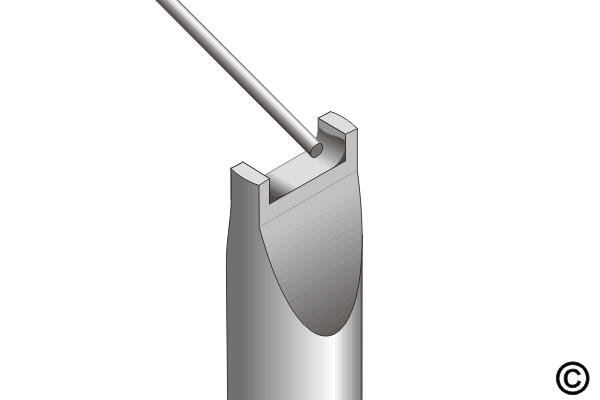 Figure 1: Forked tip shown with solder added to cavity to enhance removal operation. 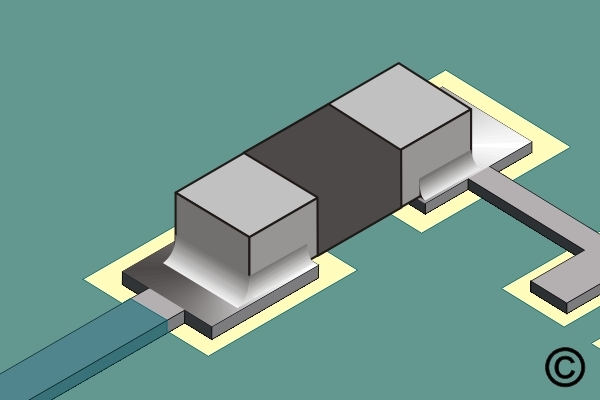 Figure 2: Removing SMT chip component with forked tip. After solder has melted lift tip out and up. Forked tips are designed to fit over the top of chip components, and to reflow both solder joints at once. The ends of the forked tip fit over the component with just a slight amount of extra space for solder. Measure the overall length and width of the component with a caliper to select the proper size tip. Check the tip for proper fit prior to processing the part. 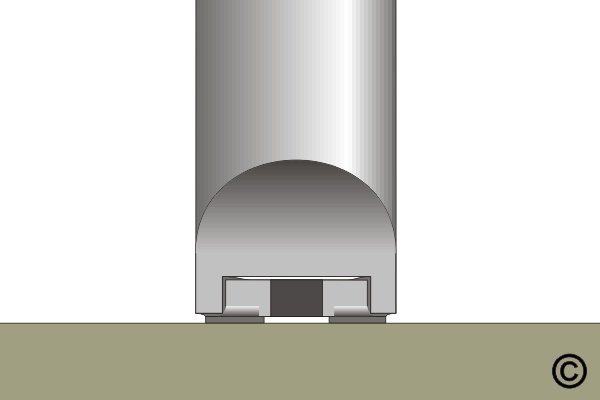 The tip should not fit the component so tightly that it will get lodged in the tip, but the tip should not be so loose that it will not conduct heat to the leads simultaneously. The size and shape of the forked tip will have an effect on the rate of heat transfer. Larger tips with more surface area will transfer heat faster than smaller tips. Forked tips can be used to remove a number of different styles of chip components but the component must fit properly in the tool cavity. Since forked tips have a cavity, they require special cleaning and tinning procedures. Remove any oxidized solder by shocking the tip on a wet sponge. Add solder to the properly prepared tip. Fill the cavity until there is a fillet on each side of the tip. (See Figure 1) Add enough solder to help transfer the heat quickly but not so much that it will fall out when the tip is turned upside down.